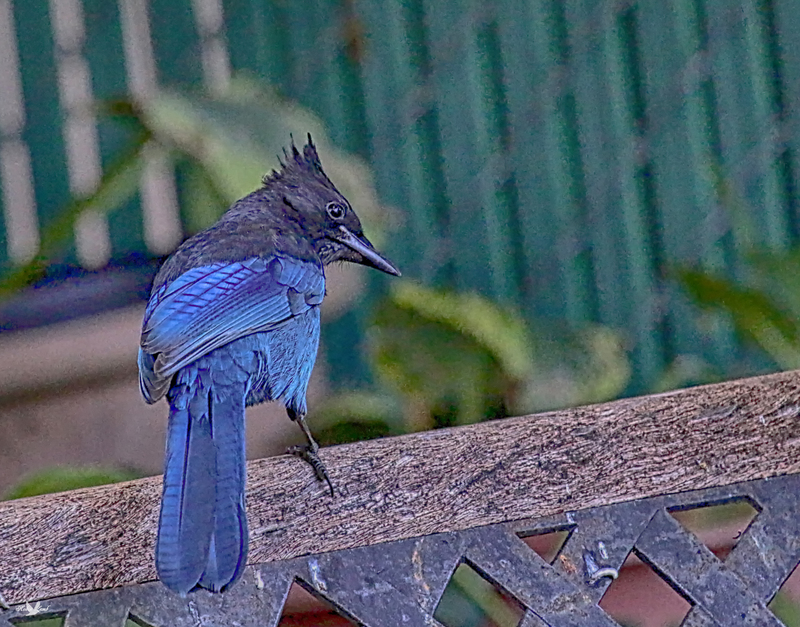 A Stellar’s Jay sits on the top of the garden bench checking out the peanut supply in the nearby feeder. This entry was posted on 2015/10/10 by Robin. It was filed under Birds and was tagged with Aldergrove, B.C., Backyard, Jay, Stellar's Jay. That is a beautiful bird.Makes the Blue Jay’s color pale in comparison. Ruth, they are very pretty, and loud, just as a Jay should be!